Weight free formula builds body and fullness while adding shine. See full product description below. Curative Volume Conditioner. Weight free formula builds body and fullness while adding shine. 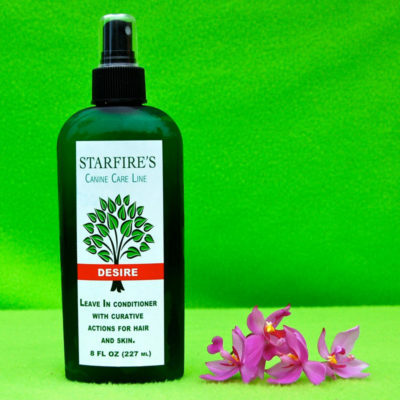 Coats are revitalized with renewed health and shine and adds tremendous bounce to thin coats. Gossip brings an element of earth’s healing power to your coat care regimen. 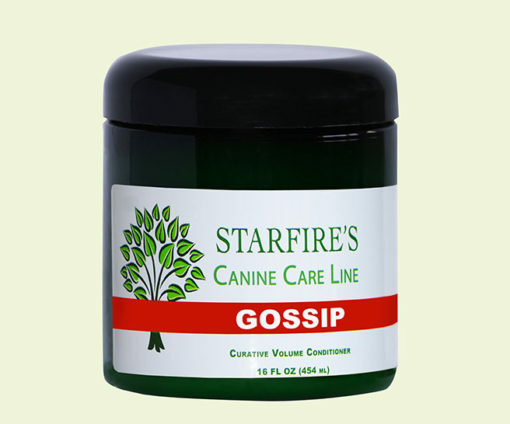 Gossip was originally used to soothe and heal sore joints and muscles, and has now been formulated to provide the same healing benefits to coat. 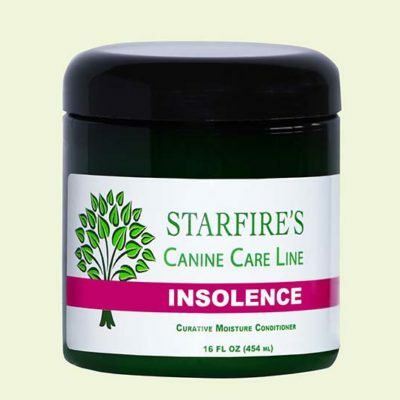 This treatment is a unique and intense curative formula based on elixirs that rapidly improves the condition of every coat.